Considerable cloudiness with occasional rain showers. Low 41F. Winds W at 5 to 10 mph. Chance of rain 60%. 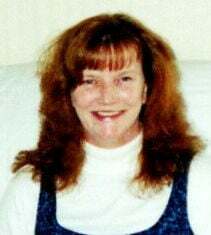 Joyce Faye “Jute” Snellings McCane, 67 of Loveland, Ohio passed away on Friday April 5, 2019 at her home. She was born in Pineville, Kentucky on March 8, 1952 and was the daughter of the late Ewell and Rosetta Slusher Snellings. Joyce believed in the Pentecostal faith and had been a homemaker. In addition to her parents, she was preceded in death by her daughter, LeShannon Hoskins, brother, Ewell Mike “Ratpack” Snellings, Jr., stepson, Jason McCane, and a niece, Stacie Snellings. Survivors include her husband, Chuck Edward McCane; son, Gary Wilder, Jr. and Michelle Morris; grandchildren, Michael Hoskins, David Hoskins, Caleb Wright, Colby Wright, and Jasmine Nicole Wilder; great-grandchildren, Dawson Hoskins, Dayton Hoskins, Caleb Hoskins and Cayden Hoskins; sisters, Ginger Green, Patricia “Patti” Hoskins and Sheila Hubbard; brother, Mark Snellings; nieces, nephews, and special cousins, John Beth Hoskins, Eric Hoskins, Isaac Hoskins, Misty Snellings, Mike Snellings, Amanda Snellings and family, Jake and Nathan Snellings and family, Becky Green, Marsha Mitchell and Jeremy Mitchell, George “GT” Hoskins, Bonnie Scott and family; special friends, Steve and April Jutz, Edward “Ed” Jordan, Josh and Tabitha Mayes and family, Jeremy Sproles, Bobby Scott, Jake and Tabitha and family, and a host of many other relatives and friends. Funeral services weree on Tuesday, April 9 at 2:00 PM at the First Blackmont Baptist Church in Hulen with Rev. David Howard. Burial will follow in the Tackett Hill Cemetery at Hulen with family and friends serving as pallbearers. The family received friends from 5 until 9 PM Monday at the First Blackmont Baptist Church in Hulen. The Arnett & Steele Funeral Home and Cremation Center in Pineville is honored to be serving the McCane family. Light a candle if remembrance and sign the guestbook at www.arnettsteele.com.